oh dear... i hope things are gonna be fine. Gosh, I've alwiz worried for you guys living in that area, since scientists have alwiz talked about the "big one" striking. And you are most correct, animals do have special senses to detect major changes in the environment. 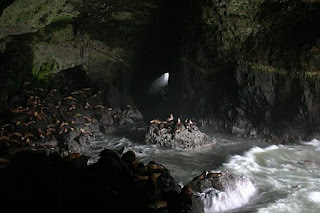 The seals' disappearance cld be a major warning that things below the earth are not normal. I am glad to hear you and your family are okay. It must be nerve-wracking to feel such tremors. Take care! It sounds like u guys set to the "ready-mode" to get out of the house when a big one comes... but I hope it won't anyway. It seems the ground shook hard for 6.5 based on the surveillance videos of stores and restaurants. I don't remember SF 7.0 earthquake in 89 shook that hard but maybe we were not on the fault that's the tremors weren't as bad. @Medie007 - I think once the big one hits, things will get better. Now we're all waiting for it to happen. The anticipation is what's nerve-wrecking. @Gratitude - We try to be as prepared as possible with the right food and emergency supplies at home and a family plan on where to meet and what to do. @Cheryl - It sure is nerve-wrecking!! @Dora - I thought about relocating to another city but it seems every you turn, there's some sort of natural disasters. California is an earthquake prone state, inland states have tornadoes and floods, and other coastal states have hurricanes and crazy weathers. So as for now, we're staying put. Maybe in the future we might move. @KN - 89 was not that strong of a quake. I don't remember the ground shaking so violently although I do remember it shook for pretty long. That was the scary part. I watched on the news a surveillance video of a family eating at a restuarant when the earthquake hit and it was a very strong jolt. Thank God no injuries but it's something that Californians need to be mindful about and try to be as prepared as possible. Good luck! And stay safe!! I've never experienced earthquake in my life so don't really know the feeling. Funny how SF doesn't cover flood insurance since u guys live right by the bay. Ive never heard of earthquake insurance so that's a first. Take care of yourself, Rose. @Ryhen - I haven't heard anything about the quakes in Indonesia. If it's shaking over there, and we just had a pretty strong earthquake in the pacific ocean, wonder which side of the Pacific Ocean would give in and give off a massive earthquake?? I think the solar flares have a lot to do with what's been happening around the world too. @Mei - I heard about the firebombs too. I can't believe these things are going on with all the natural disasters that are happening now. According to a feng shui master, earthquakes will probably hit China and South America in 2010. 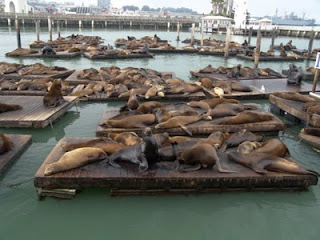 Didn't mention about North America though, but it's always good to be alert to telltale signs like missing sea lions for instance. Oh, Rose Belle, do take care and be more alert.